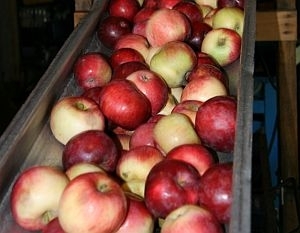 There’s nothing better at this time of year than fresh cider and apples picked right off the tree. Stop by any farm stand at this time of year and you’re likely to find the owner out back, helping with the harvest and willing to give you a lesson in making use of all the bruised and battered apples by making cider. VPR’s Jane Linholm visited Happy Valley Orchard in Middlebury, and learned how to make cider from the mill’s owner, Stan Pratt.